Welcome to Lake Wobegon Country! 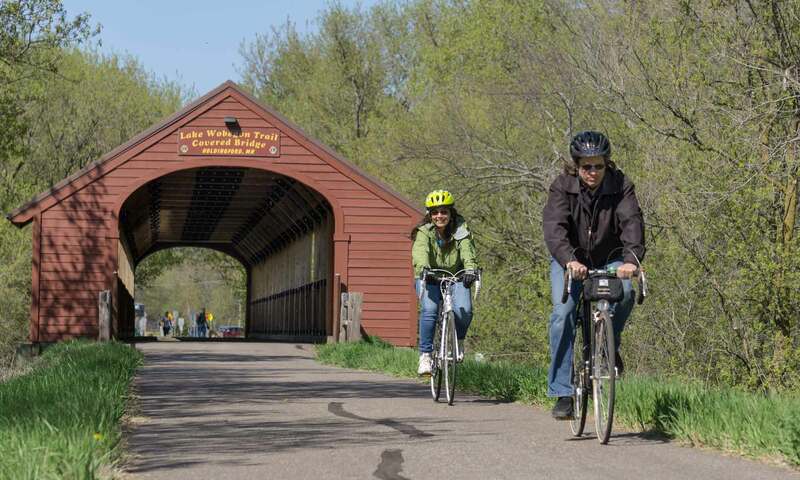 The Lake Wobegon Regional Trail is Minnesota’s above-average trail. It’s 65 miles long, 10 feet wide and paved end to end, waiting for you to explore on foot, by bike, rollerblade or snowmobile. 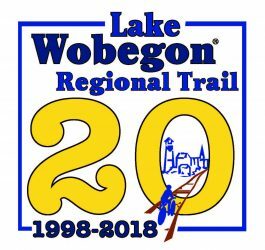 There are 10 spots left on the Rail Trails 100 Bike Tour. If you’re thinking about riding a century this year, make it this one. The snow won't last forever and eventually it will be spring. · St. Cloud Beaver Island Trail; Clearwater Rd and 40th St. S.
· St. Cloud; SCSU Pedestrian bridge over University Ave.
· Sauk Rapids; Helix Bridge 2nd St. N/Benton Dr.